Very good price for value. Clean room with comfy bed. TV with many channels and a car park with enough spaces. If you don't want to sleep in the car, is the best choice! 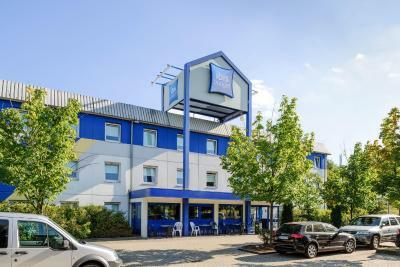 Ideally situated and fit for purpose as overnight pitstop on long journey through Germany. Cheap, convenient. Absolutely no frills. Self-service booking in system which allowed us to book ourselves in easily after 22:00. It was clean.Bed was comfortable and relatively easy to use the self check in machine. Hotel was fine for a quick stop over, met our needs adequately. The room was very clean and the bed was very comfortable so I had a good nights rest. 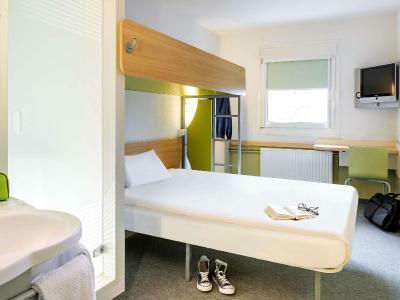 ibis budget Kassel Lohfelden This rating is a reflection of how the property compares to the industry standard when it comes to price, facilities and services available. It's based on a self-evaluation by the property. Use this rating to help choose your stay! 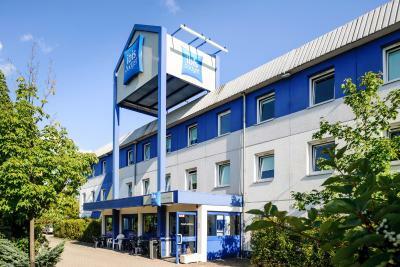 Ibis budget Kassel Lohfelden offers free Wi-Fi and is set in Lohfelden, 2.7 mi from Kassel and 25 mi from Göttingen. 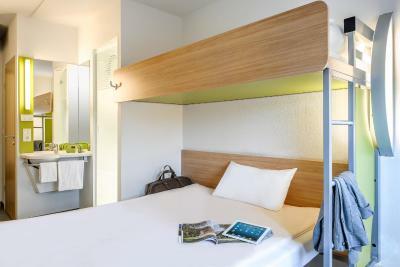 Each of the rooms comes equipped with a flat-screen TV, separate toilet and shower facilities in the room. Guests can also enjoy elevator access to all rooms and free public parking is available on site. Bad Hersfeld is 30 mi from Etap HOTEL Lohfelden, while Bad Wildungen is 21 mi from the property. Paderborn-Lippstadt Airport is 45 mi away. This property also has one of the top-rated locations in Lohfelden! Guests are happier about it compared to other properties in the area. This property is also rated for the best value in Lohfelden! Guests are getting more for their money when compared to other properties in this city. 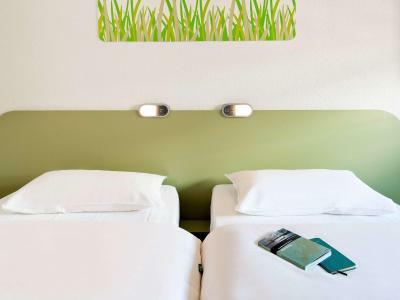 When would you like to stay at ibis budget Kassel Lohfelden? 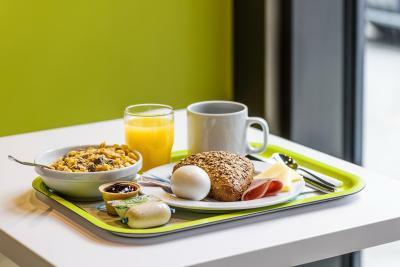 House Rules ibis budget Kassel Lohfelden takes special requests – add in the next step! 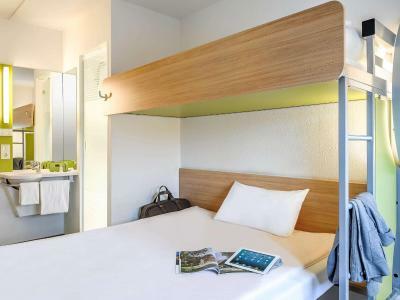 ibis budget Kassel Lohfelden accepts these cards and reserves the right to temporarily hold an amount prior to arrival. Please note payment is due upon arrival. Your reservation is guaranteed until 6pm on the day of arrival even without entering your credit card details. After 6pm your reservation will no longer be guaranteed and the room may be reassigned, unless you secured your reservation with your credit card details. 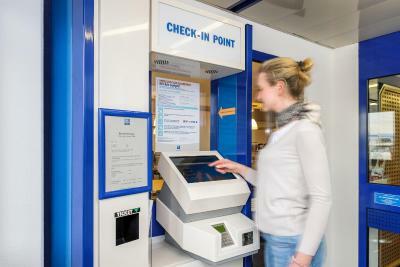 Between 14:00 and 17:00 and between 22:00 and 6:30 you can check in using a check-in machine. When we arrived no stuff member was available (I believe they should be there between 5pm an 10pm, we arrived at 8pn so it was not a matter of someone being a little bit late or leaving a little bit earlier) It was quite unlucky for us as we had small issues with payment and didn't know how to pay for the dog. Luckily the next day we were served by a very nice man, leaving an overall ok impression. Beds are rock hard. Terrible coffee! Friendly reception staff. Too small/little pillows but this is a common problem among most hotels. We booked, but it was not registered. In the end we had to make a manual booking in an automat. We stay 5 days and this was brilliant! Shower i n bedroom? Smallest room had ever seen. Staff at the reception (older male) wasn’t very nice and not very helpful. Cleaning staff noisy when cleaning rooms early in the morning. Nice room, clean ,spacious with basic equipment. The shower was extremely small and the pipes had a very dodgy smell.